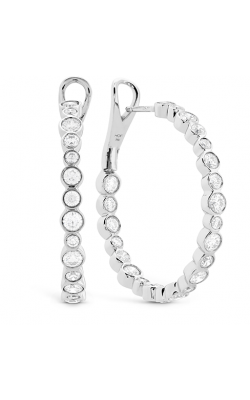 Throughout the centuries, hoop earrings have long been a sought-after jewellery staple for both men and women alike. 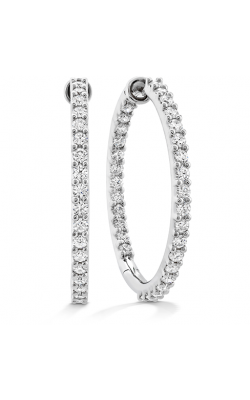 Imagine hoop earrings as rings for the ear; they come in both circular and half-hoop or half-circle shapes that are open in the back. 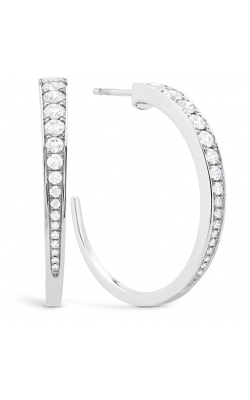 Ranging from “huggie” style hoop earrings which sit next to the earlobe, to dramatic scene-stealing sizes that touch the shoulder, hoop earrings have been created with both fashion and culture on the mind. 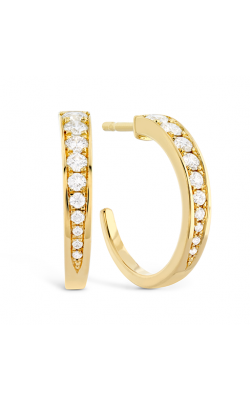 Across the globe, hoop earrings are always in style, and they are often fashioned with metals, wood, plastic and other materials, sometimes with accents of colored gems and diamonds. 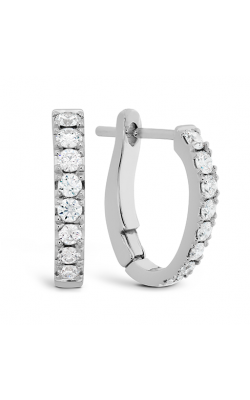 Golden Tree Jewellers are pleased to offer some of the most in-demand, glamorous hoop earring collections on the fine jewellery market today. One of our most popular brands is the Hearts on Fire line of earrings. 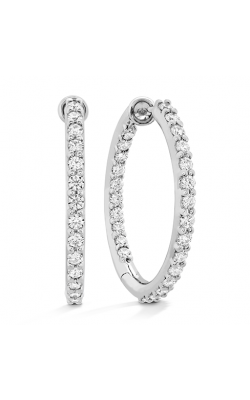 Meticulously created with a perfect ring of eight hearts and crafted with the fine metals, these tasteful earrings come in a variety of collections including Copley, Mini Hoop, Lorelei, Effervescence, HOF, and Triplicity. Top jewelry designer John Hardy has long been a trend-setter, known for his dramatic chain-weaving and hand-hammering of precious metals as well as designs that have been inspired by Balinese royal courts and nature. 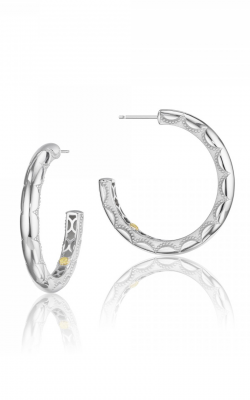 We feature the Bamboo, Classic Chain, and Legends collections all from John Hardy. Italy is world-renowned for its stunning jewellery creations, and this can be seen through Marco Bicego’s line of beautiful gold pieces. Inspired by traditions from his father, Bicego creates alluring pieces with a contemporary feel in collections like Marrakech, Delicati, and Murano. Designer Simon G seeks to capture a modern flair with high-end elegance, in addition to being attentive to the details. The earrings from the Modern Enchantment, Vintage Explorer, and Classic Romance collections are a must-see. 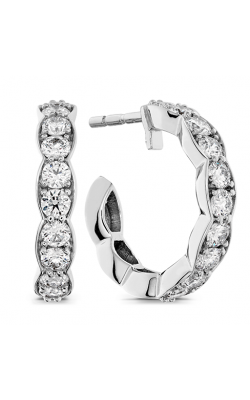 Why Shop for Hoop Earrings at Golden Tree Jewellers? 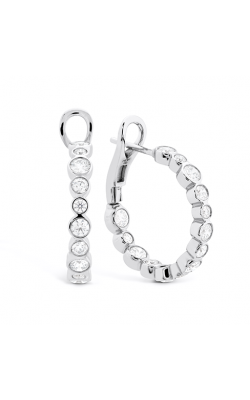 Golden Tree Jewellers presents a generous selection of hoop earrings that are on the cutting edge of high quality and luxury, in addition to being essential jewellery staples that are right on trend with today’s leading designs. Carefully curated and hand picked for even those with the most choicest of preferences, Golden Tree Jewellers offers a large variety to consider. 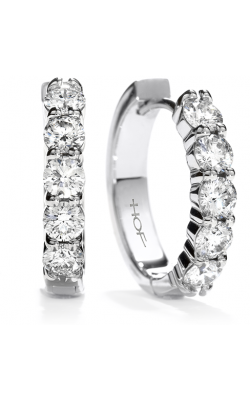 Our showroom in Langley serves the nearby communities of Vancouver, Surrey, and Burnaby with the very best in fine jewelry, Swiss timepieces, accessories, and certified loose diamonds. 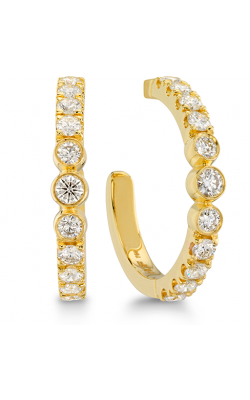 For questions concerning our pieces, please call (604)-530-7221 or visit GoldenTreeJewellers.com for more information.